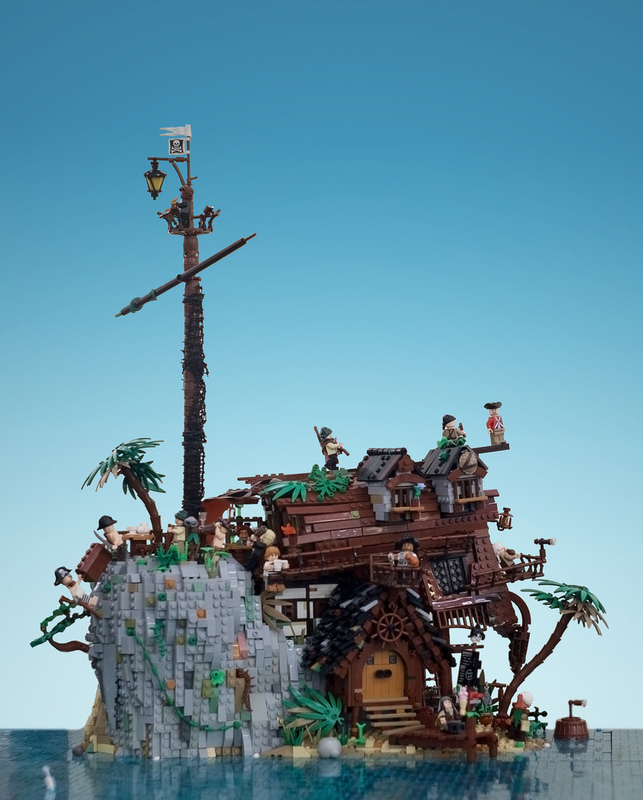 If your LEGO pirate ship crashes on the rocks, what do you do? Easy, rebuild! 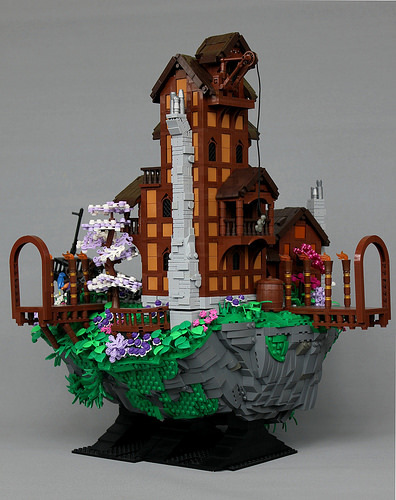 Travis Brickle has embraced this idea, skilfully repurposing the recognisable aspects of his vessel into a makeshift cottage on its own remote island. It’s a ramshackle affair with the hull doubling as roof replete with dormers; I love the turtle shell fix to one of these. The mast stands tall as a look out post, I assume to scour the horizon for rescue. A ship’s wheel hangs above the door, a reminder of past maritime glory. Yet, even when a pirate’s shipwrecked, you can’t take the buccaneer out of the man: there are sailors still to walk the plank, treasure to plunder, and rum aplenty to be swilled. 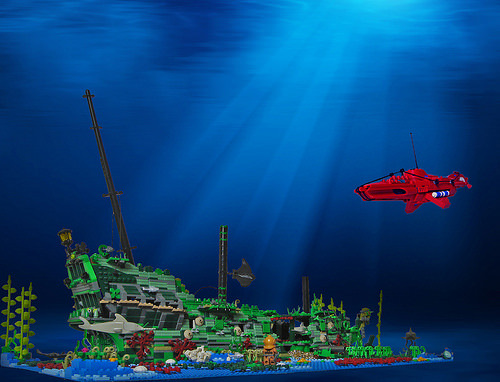 As is the fate of many, many vessels, The Carmen rests at the bottom of the ocean. Her builder, Sebeus, doesn’t give us any indication of what took her there, but the fact remains she’s been buried for years. This completely caught my eye. 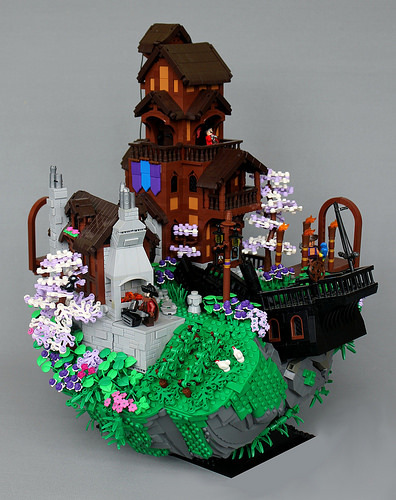 I do love seeing decay done right in LEGO, and this totally fits the bill. The ship is clearly overgrown and becoming an excellent habitat, and you can still make out the details of the ship (LOVE the figurehead!) while getting a sense of just how long she’s been there.